Also an alumni of Robbie Lane and The Disciples, when Dominic Troiano left Mandala in 1969, he was looking for a change from the high class big band r&b rhythms. Along with Mandala-mates vocalist Roy Kenner and Pentti 'Whitey' Glan on drums, they moved to Arizona early the next year to get different musical vibes and a fresh start. They recruited bassist Parkash John and began playing the circuit, cutting their teeth on the harder blues based riffs and less sophisticated material they were trying out on a hungry market looking for something different to wet their appetite. They caught the attention of Reb Foster, an LA disc jockey while he was in Arizona. Foster ran a management company through his Cuordoroy Records that was affiliated with ABC/Dunhill Records. He agreed to manage the band and had them signed to Dunhill in early 1970. 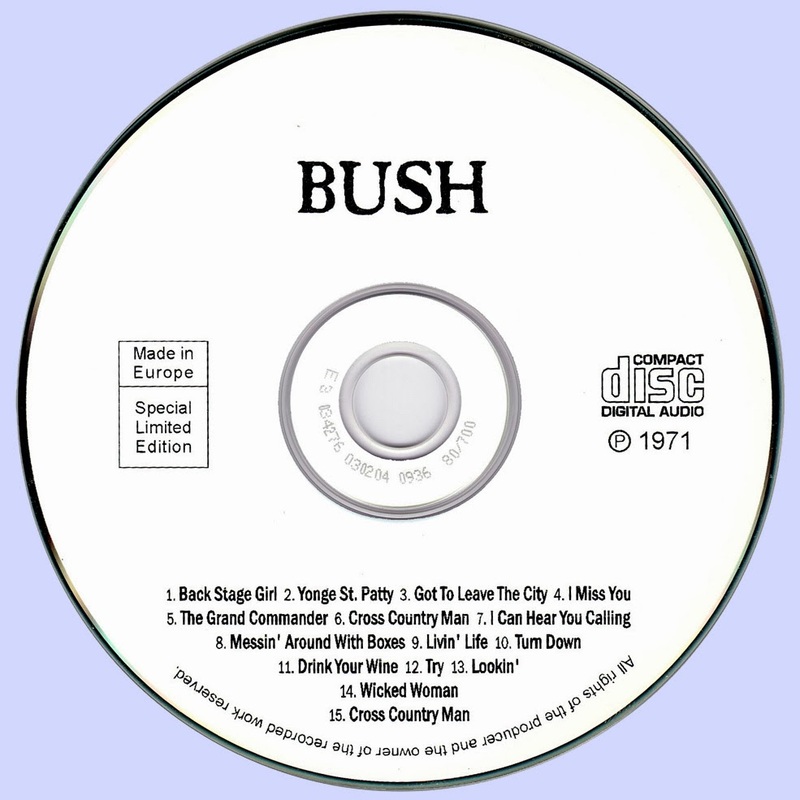 Bush in fact was the first band to sign with Cuordoroy. 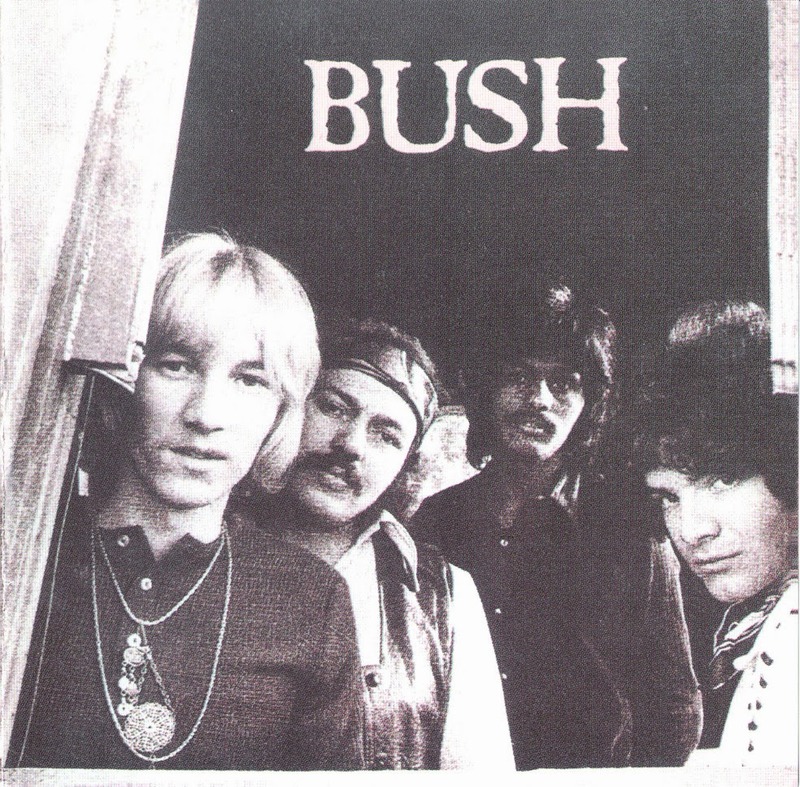 They got bigger gigs, opening for the likes of Steppenwolf and Three Dog Night, but found themselves in the middle of a nightmarish R'n'R political BS situation as they prepared to release their first lp. ABC/Dunhill sued Cuordoroy, and Bush became the football, punted back and forth with no one ever scoring. Their first and only lp was self-titled and like the band's name, straight forward, simple, catchy and easy. Tracks like the lead off "Back Stage Girl, "Got To Leave The City," "Messin' Around With Boxes" and their only single "I Can Hear You Calling" all showed Troiano and company were looking for a different direction, straight to the bones driving rhythms. The reminiscent "Yonge St. Patty" paid homage to 'the girls from home,' not far from where Troiano grew up. 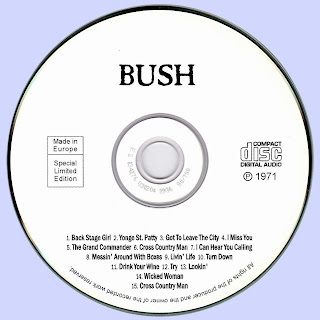 Two years later, Troiano and Gavin Rossdale, leader of the British band held a press conference in Toronto to announce they'd been given permission to use the 'Bush' name on recordings.